Entry-level homes came in last in the recession, hit hard by sinking values—and now, they are the last to recover, according to the August Zillow® Real Estate Market Reports. 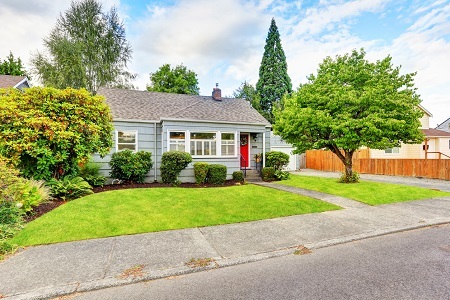 Starter homes in 24 of the 35 largest metropolitan areas, or roughly 69 percent, are struggling to regain value, even with the national median value up 6.9 percent year-over-year. Over 50 percent of homes nationwide, however, have recovered—and then some. In August, the national median value in the Zillow Home Value Index (ZHVI) was $201,900. There are now 12.6 percent fewer homes for sale compared to one year ago, the Reports show. 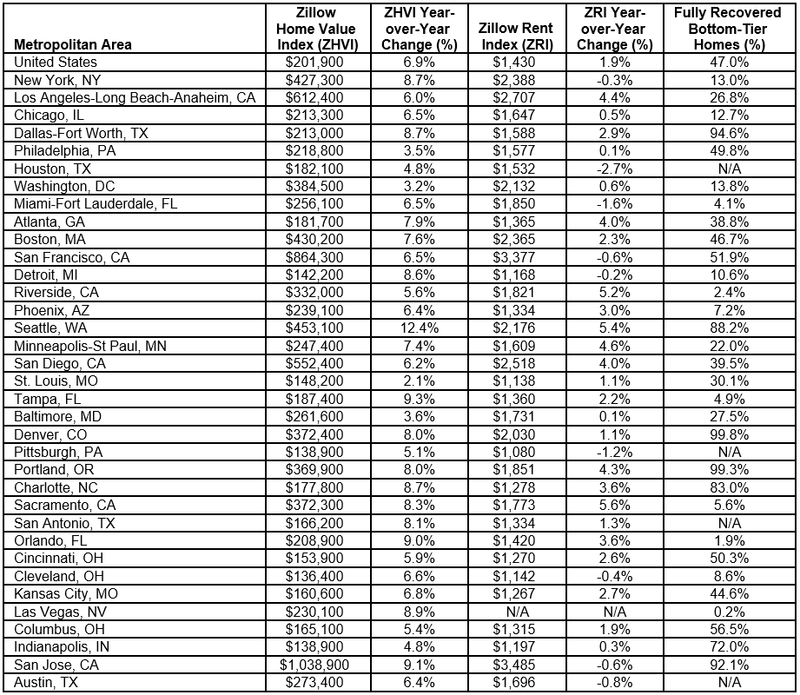 The national median rent in the Zillow Rent Index (ZRI), meanwhile, has posted an annual gain of 1.9 percent, with the median rent totaling $1,430.